Does this mean upgrade versions will now be available? Microsoft has performed a U-turn and dumped Windows 7 E, the Europe-only Internet Explorer-free version of Windows 7. The reason? 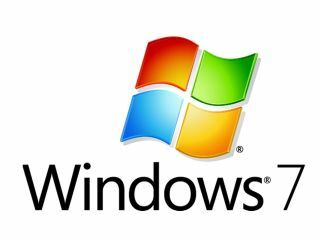 Microsoft didn't receive too positive a response from the European Commission to Windows 7 E. Instead, the corporation is proposing to the EC that the browser ballot screen will appear on copies of Windows 7 when people launch Internet Explorer for the first time in Europe. The copies of Windows 7 shipped in the European Economic Area (EEA) will be identical to those launched in other parts of the world, but the ballot screen will appear after Windows connects to the internet in the EEA. This also means that upgrade copies will be able to be installed, though Microsoft has made no mention as yet of their availability in the UK. Windows Vista could not be upgraded to Windows 7 E because of the browser issue. "In the wake of last week's developments, as well as continuing feedback on Windows 7 E that we have received from computer manufacturers and other business partners, I'm pleased to report that we will ship the same version of Windows 7 in Europe in October that we will ship in the rest of the world," said Dave Heiner, Microsoft's Vice President and Deputy General Counsel, in a blog post. Microsoft came under fire from OEMs that couldn't sell Vista PCs with upgrade offers – new installations would have to be made – but this should no longer be the case. Earlier this year, the EC had asked Microsoft to include other browsers, but at the time, Microsoft said it would introduce the browser-less Windows 7 E instead. However, it appears the EC was less than happy with this plan. But Windows 7 E might not be finished off yet, since strangely Microsoft has not yet gained full approval from the EC for its new plan. "We've been open both with the Commission and with our customers and partners that if the ballot screen proposal is not accepted for some reason, then we will have to consider alternative paths, including the re-introduction of a Windows 7 E version in Europe," added Heiner. And it doesn't end there - the ballot screen is designed for existing Windows PCs too, not just new ones. "If our proposal is accepted by the Commission, we will update Windows XP and Windows Vista machines throughout Europe with the consumer ballot screen," continued Heiner. The screen will only appear for those with IE set as their default. Those with other browsers set as default won't see the screen.